Perhaps one of the most common problem people who want to learn to sing experience is being unable to hold a simple note. The trouble is if you can’t hold a note then honestly, you won’t be taken seriously as a singer. That is the bottom line. But there is an exercise that comes up trumps every time I run my ‘problem’ pupils through it. 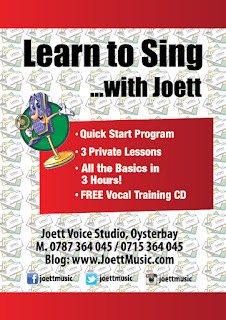 And you’ll find this exercise on my Learn Sing with Joett Booster Program CD. Today I want to talk a little bit about how to make full use of this particular exercise to help you hold those notes. The principle behind this is rather simplistic. I don’t want you thinking it is anything complicated. Usually the simpler it is the better. But I want to delve into why it works in the first place, so that when you get stuck right into it you are fully aware of why you’re doing this and what to expect in terms of your physical experience while you’re at it. This is the only way you’re going to get results. I have recorded a rather long chromatic scale workout, and the reason it works is because of the length of scales in each run. And by virtue of that length and pace, it allows for zero errors. And now I’m going to reveal my 3 step system to bigger results. Begin with the lip rolls all the way up the scales but know your limits. If you can’t go beyond a certain point in good form, stop and start again. Your next exercise should be with the tongue trill, and your third and final exercise should be with the vowel “I” pronounced “ee”; or if that proves a challenge then opt for singing the word ME instead. Like I said, it is rather simplistic. However, it can only work if you do the exercise correctly. Don’t sing off key and expect results. Now let me explain one more thing. The lip rolls will open up the connection between the chest and the head voice, without any external interference like recruiting your outer larynx muscles, for instance. The tongue trill is closest to projecting a fuller voice, again, without external interference, and prepares you to working with vowels. If you flop on the vowels, then make sure you stay with the lip rolls and tongue trills for several weeks until your voice is ready to take the next step. By which time, if you had trouble holding a simple note, now it ought to be relatively easy—or the problem completely eliminated. 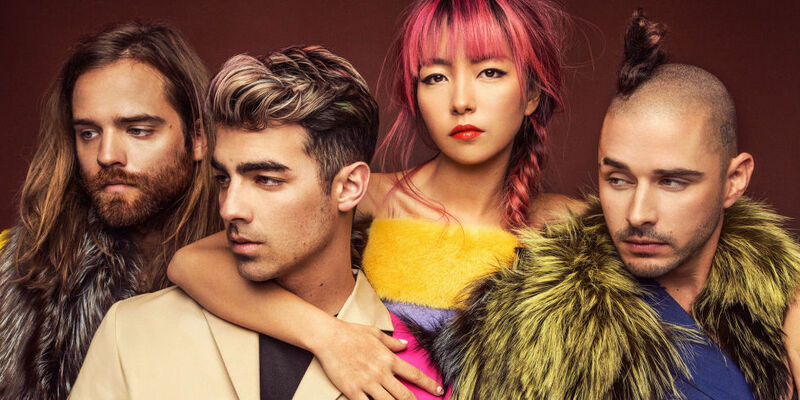 American pop rock band DNCE won their first ever VMA Award Sunday when they took home the gong for Best New Artist. Signed to Republic Records, who released their debut single, "Cake by the Ocean", the group’s members are Joe Jonas—formerly a member of the Jonas Brothers, a pop-rock band that had much success with music and acting; Jack Lawless—who played drums for the Jonas Brothers from their Marvelous Party Tour; Cole Whittle—a former bass player for Semi Precious Weapons; and JinJoo Lee from South Korea, who previously toured with various acts including the Jonas Brothers, and now plays guitar and does backing vocals with DNCE. DNCE broke out last year with “Cake By The Ocean.” Frontman Joe Jonas recently told EW that the secret to the song’s success was that the group broke all the rules when it came to writing. “We didn’t stress too much about having it follow the rules of songwriting,” he said. “I’m sure other songwriters would peek into the room and be like, ‘What are they doing?’ But we kind of threw that out the window, and we’re glad we did.” The band’s debut album is expected to drop later this fall. Author's Comment: Definitely a very refreshing retro sound this group has. I absolutely love it! I’m dead certain that you’ll enjoy watching the video to Cake By The Ocean. 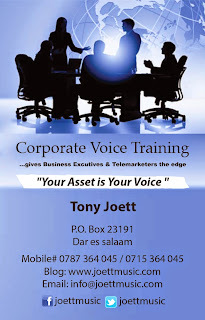 I’m rather excited to begin this series of corporate voice training articles and tapes to share with you. I know it may sound like a bit of a complexity of sorts, but if you’re in the corporate world and you’re experiencing difficulty in projecting your voice in the boardroom and maintaining the undivided attention of the people listening to you, then it is time to take a closer look at what is holding you back. Chances are it is your voice that needs fixing. But don’t fret; you should be good to go with a couple of simple exercises to improve speaking voice. Breathing is far more important than you think. Without good breath control, your voice doesn’t have the balance in the first place. Like a kite that flies against the wind, your voice needs breath. Try exhaling every bit of breath in you, and when you’re completely empty try to speak and see if you’ll even manage to utter a single word. So here’s a quick breathing exercise you can do just before you hit the podium to make your presentation. Slowly sip in some breath to fill your abdominal area and then blow it out in a very controlled manner. Repeat this four or five times, and you will have prepared your breathing system to work more efficiently when you’re up there making your presentation. Make sure you don’t speak in a hurry just so you can get over and done with it as quickly as possible. Because you will end up mumbling inaudible words and phrases—of that I am certain. Simple exercises to improve speaking voice prior to your presentation will help you with rebalancing your voice for good speech level posture that will have your voice resonate across the room with power and control. Humming, lip rolls and tongue trills on a 3 tone scale are perhaps the quickest and simplest way to get your voice warmed up and ready for the boardroom. The last thing you want is tension in your outer larynx muscles, and so these exercises, done regularly, will help tremendously in keeping the outer larynx muscles down and relaxed, thereby allowing you to speak with more ease and comfort. And that’s really all there is to it! Watch out for Diary Of A Vocal Coach: Corporate Voice Training audio videos coming to this blog soon! In this tape, Melissa John--Airtel Trace Music Star Tanzania Winner 2016, is rehearsing License To Kill by Gladys Knight, for Airtel Trace Music Star Grand Finale that was to take place in Lagos, Nigeria. Paradoxically, when Melissa arrived in Lagos, however, she decided to ditch her entire repertoire--songs I had selected for her AND ones she'd undergone rigorous voice training to perfect--for some half cookie songs, one of which--Summertime, she neither knew the arrangement nor the lyrics to, and yet still went up on stage to perform. And so as a result, she DIDN'T win the competition! So that's how Tanzania lost the Pan African competition to Zambia. So much for knowing-it-all, hey? Had she stuck to our plan she would've won the competition. Absolutely no doubt about it. Kwenye audio hii, Melissa John, mshindi wa Airtel Trace Music Star Tanzania, anafanya mazoezi na wimbo License To Kill wa Gladys Knight ili kushindania tuzo la Africa uliokua ufanyike nchini Lagos, Nigeria. Chaa ajabu, Melissa alipofika Lagos aliamua kutoimba nyimbo zile ambazo nilimchagulia na alizofanyia mazoezi, akachukua nyimbo zingine alizojiamulia yeye mwenyewe huko Nigeria, mmoja wapo--Summertime, ambao wala hakua anajua mpangilio wala mashairi yake, lakini alipanda ivo ivo jukwaani na kuimba. Matokeo yake hakushinda shindano hilo, na badala yake mshindani wakutoka Zambia alichukua ushindi. Hivo ndivo Tanzania ili poteza kirahisi mno ushindi wa Airtel Trace Music Star Africa 2016. Faida ya ujuaji ndio hio, au sio? Angefuata orodha ya nyimbo kama tulivopanga, angeshinda hili shindano kabisa! In this particular training session, my pupil has been in training for almost 5 years. So she is very experienced. I wanted you to listen to this tape to help you better understand what training in perfect form is all about; to inspire you to train correctly so you can shorten the learning curve to becoming a better singer. Mwanafunzi huyu amefanya mafunzo kwa kipindi cha takriban miaka 5. Kwahiyo ni mzoefu. Nilitaka usikilize ili uweze kupata uelewa zaidi kuhusu mazoezi ya sauti kiufasaha yanafanywaje... ili uweze kujipanga utimize ndoto zako za kua muimbaji bora. 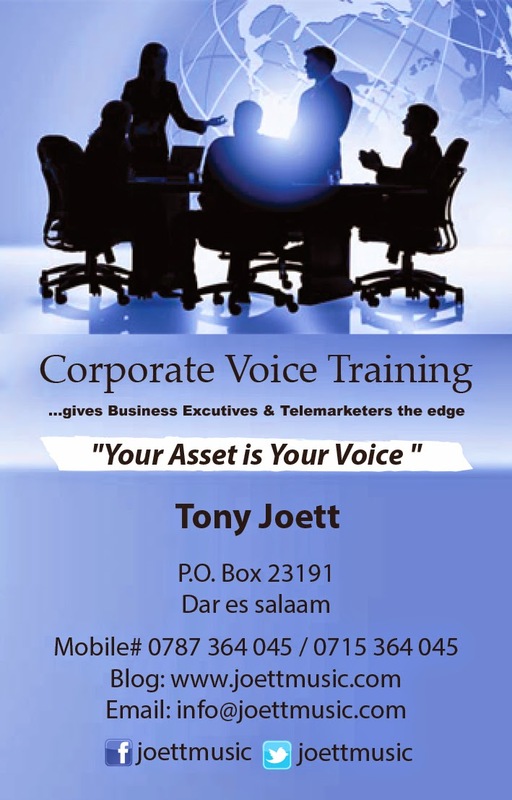 Corporate Voice Training can give you that all important trait in business—an executive voice! With a well balanced tone you will be able to project a more engaging telephone presentation AND be taken seriously in meetings. 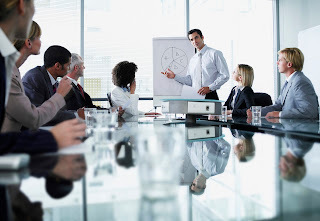 If you want to be more easily understood and to avoid having people ask you to repeat yourself, voice training will enable you to project the confidence within you to keep your audience engaged when you give presentations in person; online and over the phone, all of which will likely increase the bottom-line for your company and help you get promoted. When you train your voice—like actors and singers—it puts you ahead of your competition as a lawyer, banker, business executive or telemarketer, because YOUR voice does most of the work for you. It is quite incredible how when you open your mouth to speak could well be your ticket to success or failure. To make a good first impression, for instance, depends on how you speak. You could be dressed in a pair of shorts, t-shirt and sneakers and still be taken dead seriously WHEN your speech is perfect. A good command of the spoken word will override any preexisting flaws you might have. Training Your Voice using speech level singing technique—although designed primarily to improve your singing—has an upside in training the business executive for articulate speech. From my personal experience with clients, the method I use to train singers is the exact same method that inadvertently trains your voice to deliver an impeccable punch in the boardroom. Isn’t that SO amazing? I’ve worked with lawyers, bankers and business executives and the results are always the same. What you basically do in training is go through vocal exercises to rebalance your voice and to build your range and resonance. Your voice becomes powerful without you having to shout. It’s like developing an underlying current that is strong, powerful and sweeps your audience away against their own free will. Once you’ve built your range, your voice increases its ability to express itself in a much broader dynamic range, thereby giving you the boost in confidence when you speak, for the simple reason that your voice is now able to do a lot more. It is that freedom that cranks up your confidence levels to an all time high, and has you tearing away the boundaries that had previously constricted and inhibited your speech. 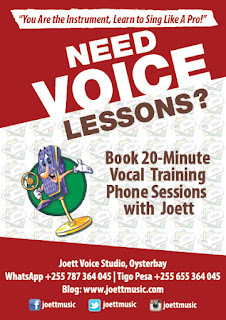 Monthly Retainer Fee to corporate clients is based on the number of individuals a firm books in for voice lessons. In consideration of the busy schedules for most corporate executives, I offer the flexibility of working with individuals in my studio for the first 3 lessons as mandatory, with the option to training sessions conducted over the phone; online via SKYPE, WhatsApp and Viber… incorporating audio and video clips I create especially, tailored to individual needs. If ever you’ve wondered whether a prerecorded vocal training program can be customized especially for you, let me tell you this… not only is it doable, it works wonders. Hiring the services of a vocal coach long-term will set you back a considerable amount of money; an outright prerecorded one-size-fits-all program, however, may pose a great challenge for some without the supervision of a vocal coach—get it wrong and you practically destroy your voice. 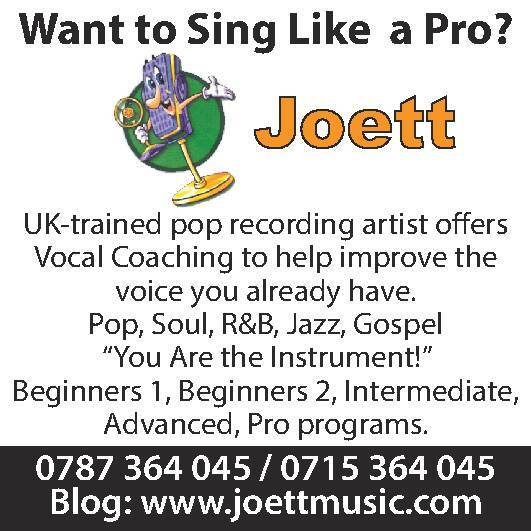 This article will aim to show you how you can get a private session with a vocal coach in your own living room, day in day out, with a prerecorded program customized especially for you. I’ve encountered pupils with all sorts of vocal issues. Everybody is different, and this is why I only teach one pupil at time… which makes my day pretty long and tedious, but there’s certainly no wriggling out of this one. I want my pupils to come away with something and so I will endeavor to put in the time to make that happen. That being said, I like to record short segments of my students in training so that I can give them something to work with at home. Now, because they will have worked with me in session on piano, the tapes that I give them automatically become especially customized to THEM. In Conclusion: If what you want is a customized vocal training program for yourself, to workout whenever you feel like it in your own time, then make a point to book private vocal training sessions with a vocal coach who will create workout drills customized to you, based on what works best for you AND taking into account your vocal range. 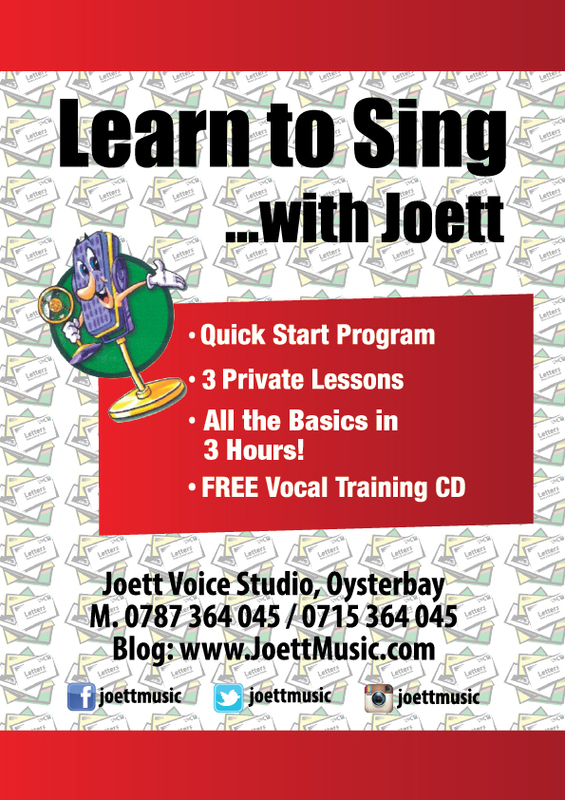 To book 3 hours on my Quick Start Vocal Training Program, which includes a free vocal training CD and segments of your training sessions on tape for home learning, please contact me.